Posted by Duncan in PeopleTools 8.50, PeopleTools 8.51. This is all very good when the field is in a nice empty page, where there’s plenty of space for a large toolbar. Many pages have a lot of fields on, and the addition of a bulky toobar might make the page appear busier and more crowded. Also, some users may get confused with the wide choice of buttons available. I faced a similar issue today. I needed to have the user enter some text and be able to embed links, but because of the design aesthetics of where the results would be output, I wanted to discourage the user from having lots of different colours, font sizes etc. 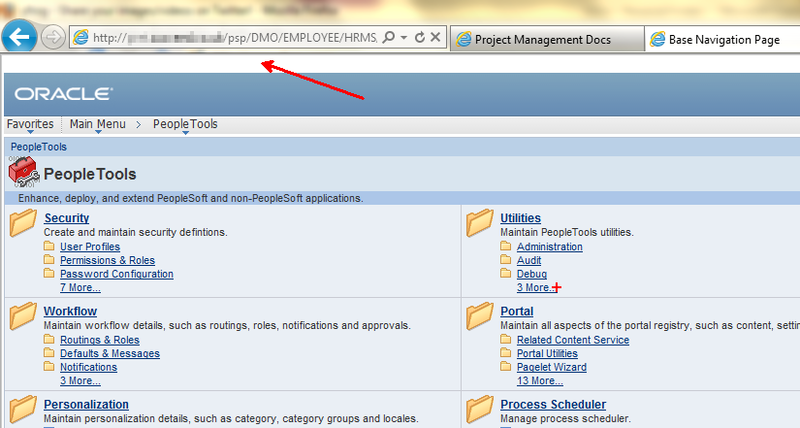 So I wanted to reduce the toolbar so it had just two buttons – add link and remove link. Posted by Duncan in PeopleTools 8.51. Most clients haven’t even got Tools 8.50 in and running yet, and now we have the Release Value Proposition for Tools 8.51. I know this doesn’t mean that the release is imminent (I’m guessing it’ll be out around Open World), but it does mean that we can start to get excited about what it will bring. I’m not sure how much I can talk about here as the document isn’t freely available – you need a My Oracle Support account to get it – but I’ll summarise and see how we go. I assume most reading this will have Oracle accounts anyway. The first point to note is that there’s a break from the tradition of odd/even numbered versions. Previously the even numbered versions 8.44, 8.46, 8.48, 8.50 brought new functionality, whereas the odd numbered releases 8.45, 8.47, 8.49 typically brought the 3rd party software versions up to date and included bug fixes, but weren’t big on new functionality. It seems that this has changed as 8.51 includes lots of new features. It’s difficult to picture this without an image to demonstrate it, but there are 3 changes to the navigation which revolve around embedding (or remembering) data within the navigation to allow users to get to the data in fewer clicks. It sounds quite useful – and moves further away from the typical routine of navigating to a page, and then searching for the data. Although Tools 8.51 brings this new functionality we won’t see any delivered examples until the next App Upgrade (or maybe bundle), although we can use it if we customise. I assume this is the integration of the PS Unit Testing framework. When moving between Components the Level 0 keys are stored for other Components you access, reducing the need to search again. Related Content can now use other key fields not just Level 0. So Levels 1 and 2, and even hidden fields. The related content window can even change when you select different rows in a grid. Allows you to check the usage of the managed objects within your system. Nothing too surprising in there, other than PeopleSoft support for Windows 2003 64-bit being discontinued. Do your users share logins? If so, you’ll be able to detect them. A few people have found running XMLP Reports to Window (via the REN Server) problematic in the past, and it seems like this is being resolved. – File Attachment protocol changes (HTTPS, SFTP and HTTP(s)). I think from all that I’m most looking forward to the Smart Navigation, the Test Framework and the improvements to Related Content.